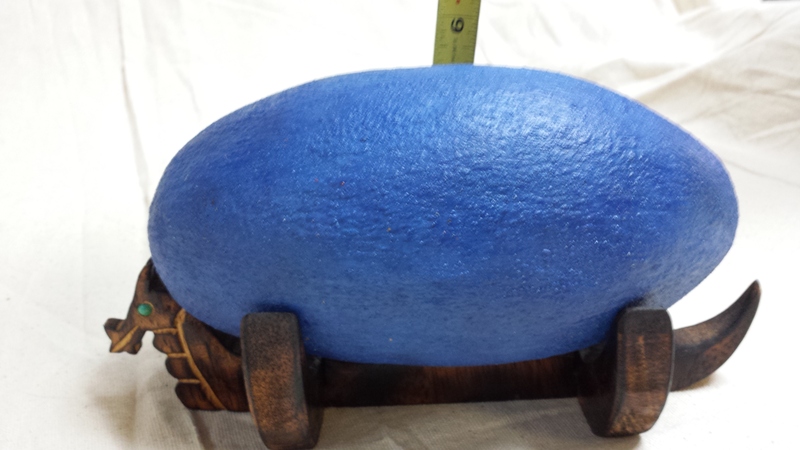 Deep Blue Dragon egg is 11 inches long and 6 inches high. It weighs a little over 3 pounds. 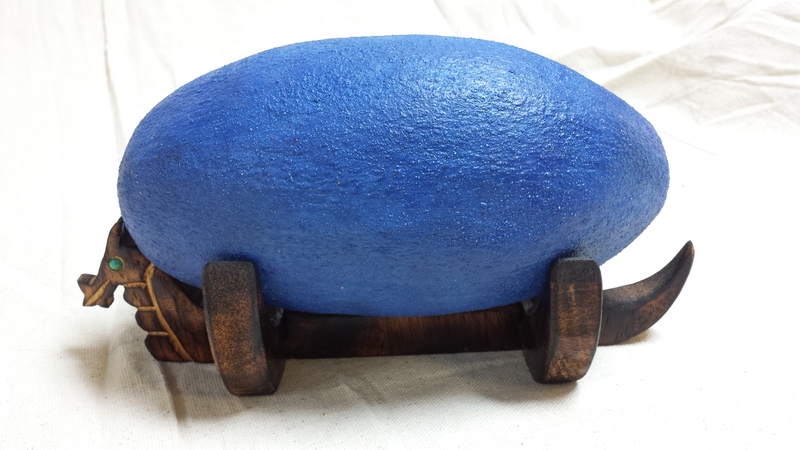 The stand is one piece in the form of a viking boat with turquoise eyes.